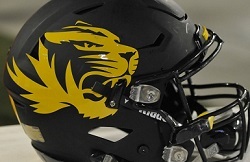 Missouri Tigers (NCAA): Some things are bigger than wins and losses on the football field. Over the weekend, the Black players on the Tigers joined with fellow students in protesting the inactivity and ineffectiveness of university president Tim Wolfe in addressing a campus culture of racism. The football players — including defensive backs Anthony Hines, Cortland Browning, Logan Cheadle, Kenya Dennis, John Gibson, Cam Hilton, DeAndre McKenzie, Dominic Nelson, Aarion Penton, Isiah Pierre, Tavon Ross, Anthony Sherrils, Ian Simon, Finis Stribling IV, Trei Walton, TJ Warren, Faheem Williams and Thomas Wilson — vowed to boycott all further athletic activities until Wolfe resigned, which he did on Monday. Props to these brothers for “activist” to their student-athlete status. B.W. Webb, CB, Titans (NFL): With Drew Brees on the schedule and Tennessee’s secondary depleted by injuries, Webb was called up from the practice squad on Saturday. On Sunday, Webb made five tackles and intercepted Brees during the Titans’ 34-28 upset victory. Webb’s end-zone INT in the third quarter was the first of his three-year, three-team pro career. Vonn Bell, S, Ohio State (NCAA): The defending national champions were having a tough time with Minnesota on Saturday, locked in a scoreless tie late in the second quarter before Bell broke things open with a 16-yard interception return for a touchdown. Ohio State added another TD right before halftime and went on to win 28-14 and remain undefeated. Bell, a junior, also had a team-high 10 tackles. Marcus Williams, SS, Jets (NFL): Coming off a frustratingly close loss to the Patriots and a reality-check loss to the Raiders — in which the defense was filleted for 333 yards and four touchdowns by Derek Carr — the Jets needed somebody to come up with a big defensive performance. Williams stepped up with four tackles, half a sack, and two interceptions in Sunday’s 28-23 win over the Jaguars. Jalen Tabor, CB, Florida (NCAA): In a defensive battle with Vanderbilt on Saturday that ended with Florida winning 9-7, Tabor was the Gators’ top man in the secondary. The sophomore corner had two tackles, one sack and one pass breakup, helping hold Vandy’s passing game to just three completions and zero first downs through the air. Logan Ryan, CB, Patriots (NFL): Ryan’s interception on Washington’s first play from scrimmage was more luck than skill. QB Kirk Cousins hit an open WR Pierre Garcon with an accurate pass that bounced high off Garcon’s chest and landed in the hands of Ryan, whose fourth pick of the season puts him one behind Charles Woodson and Mike Adams for a share of the league lead. However it came about, that turnover led to New England’s second touchdown in Sunday’s 27-10 victory. Ryan also made a team-high six tackles.